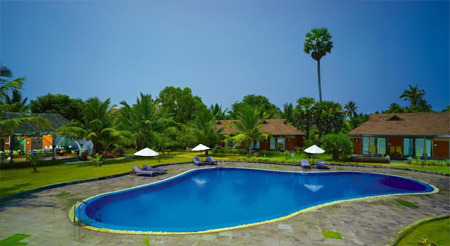 Amidst with serene surroundings and quite backwater, Poovar Island Resort is a opulent property. 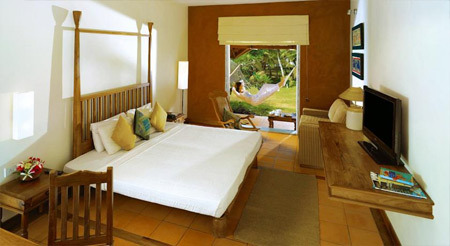 The resort offers astonishing elegance and warm hospitality, which mesmerizes its guests to an extreme level. In leisure time guests can choose to avail from various conveniences like swimming pool/kids pool, gymnasium, massage centre and yoga lessons. 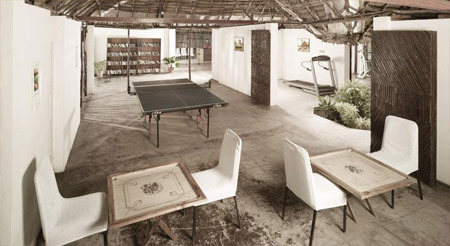 For book lovers there is a separate library in this resort and for the sports lovers, indoor as well as outdoor gaming options are available. 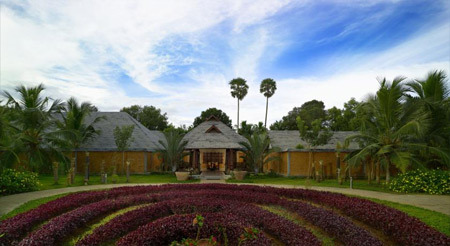 The resort also maintains an air-conditioned conference hall capable of accommodating up to 250 persons at a time. 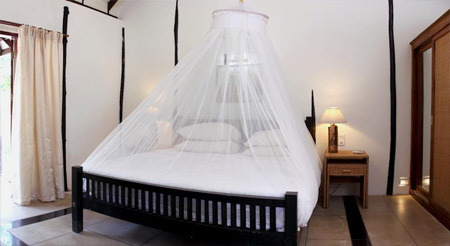 Unwind in the 78 luxurious cottages, which are divided into three sub categories: Superior Land Cottage, Floating Cottage and Premium Land Cottage. 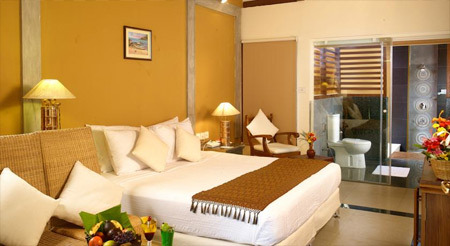 All the rooms are spacious and airy because of large windows attached in it. Guests can get pleasure from the views of the amazing estuary and beach while sitting in the large private deck area of the Floating cottage. Give your taste buds a sizzling effect, while relishing traditional and international dishes at the on-site Tiffins Restaurant. One can also opt to visit special Ayurveda Restaurant present in-house, for complete vegetarian cuisines. Taste variety of delectable drinks, fruit juices and beverages at the in-house well-stocked bars namely Pool Bar and Sunset Bar. A range of accommodations are offered in the form of 78 luxury cottages in different categories to select one according to the requirement. 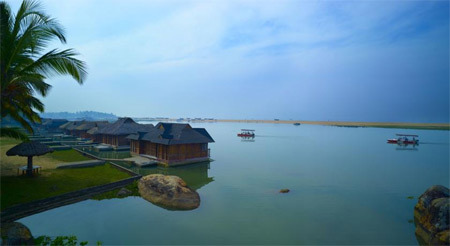 Majorly these cottages define two options one is land cottages and second floating. 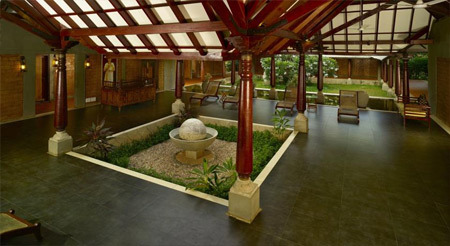 All these feature beautiful Kerala architecture and furniture to offer its guest with amazing staying experience. En suite bathrooms come with plush amenities and toiletries.